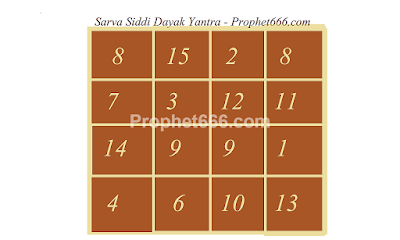 The Yantra, which is shown in the image, vibrates to the numerological vibration of the number 33 and hence is said to generate a lot of power, which enables the possessor of the Yantra to fulfill his innermost desires. The Yantra should be drawn on a square piece of copper and drawn with a stick of the Bamboo Plant, using Sandalwood Paste as the ink. 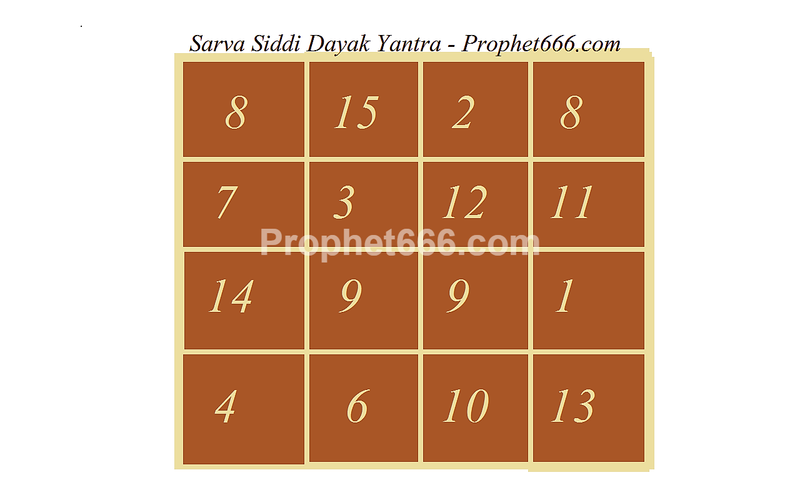 The Yantra does nor need any special kind of Puja-Mantra-Infusion or Pran Pratishta as it is an numerological combination, which is not dedicated to any particular deity. However, it is better to light an Agarbatti and Diya in front of it and offer it some scented flowers before using the Yantra. Then the Yantra should be kept on the body in the wallet, purse, pocket or around the neck like a good-luck charm. Notes- The Yantra can be prepared and used on any day. If the drawing gets rubbed or washed off after sometime, it can be once again be re-drawn on the copper piece and used again in the same way. By fulfillment of desires, I mean success in fulfilling true and inner-most desires and not childish or unrealistic wishes. pranam neel sir..I have a query as my full name also numerologically add up to 33.. is it advisable should I make this yantra on bhojpatra/white paper with sandalpaste or red ink ..as kesar is too costly and realkesar are not available easily ..plzz reply to my query ....jai ho .. The Yantra should be made as described in the post, if you have read the post, Kesar as a ink has not been mentioned. Could you please respond to my query please.I am sure you are very busy with your work and life. Please let me know if I could use round copper plate instead suqare one? PLEASE PLEASE REPLY THIS TIME. Yes, on the round copper plate, you can make the square Yantra as shown in the image.